In this week's exclusive offer with Rewarding Times, we're offering you the chance to enjoy an authetic Catalan Tapas experience in Blackrock's most exciting new restaurant El Celler. With this offer you will receive 6 authentic tapas along with a bottle of wine and desserts for two, all for only €59. 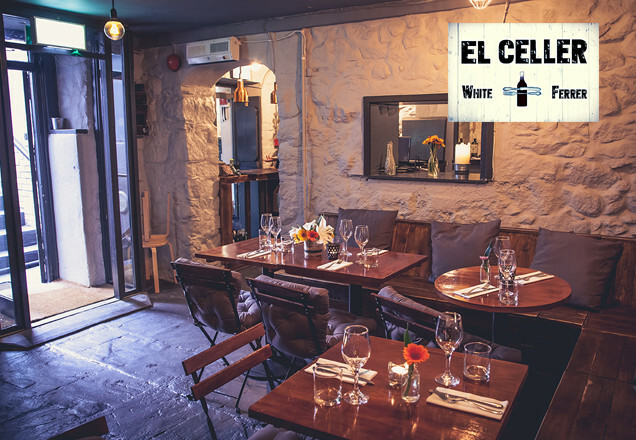 Located in the heart of Blackrock, close to the DART station, El Celler is focused on providing traditional, authentic Spanish / Catalan cuisine. "I love cooking for friends and family and now I have the chance to cook and bring part of my origins, Spanish and Catalan, in a place I fell in love since the first time I saw it. I hope I can make our guests feel like they’re at home, and to make everyone a little happier through the culture of eating, sharing and chatting in our beautiful Celler. El Celler is mainly focused on offering authentic Spanish / Catalan cooking, we worked with our wine suppliers vinos tito / boutique wines to create a list using only boutique wineries that offer some really great wines and value. We also want to offer varietals that people have never heard of." The offer is valid from November 23rd until March 22nd 2017.